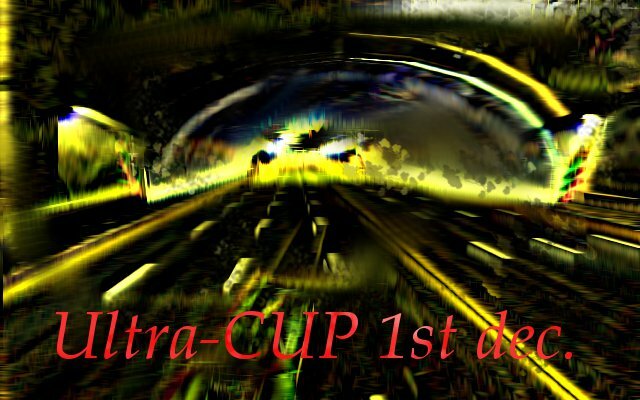 Hello people, i organizated a competition named "Ultra-Cup" who will be on 1st December 2012. I hope will be a great competition! Send a ingame PM at the login calinstelistu with 50 C. I will reply in max. 24h. PLEASE DONT SEND IN JUNE. I AM AWWAY IN THIS MONTH!!! How to add my map? Also send a PM at the same login with the United TMX download link. - Very Short tracks allowed. World -> Romania -> UltRA-CUP. Last edited by Calinstelistu on 16 May 2012 18:55, edited 3 times in total. Why no RoC maps ? RoC maps are good and easy to master because there are not many hard tricks and jumps inside. eXtreme34 wrote: Why no RoC maps ? RoC maps are good and easy to master because there are not many hard tricks and jumps inside. Because there are some players with Lp < 60k (and they cannot train). If you know a RoC server with Lp < 60k tell me. <60K players can always join 100K servers as spectators, they just can't play on it. They are always able to download map packs or something else. yes but i dont think they do that. Now you will join the cup? I'll see if I join or not, but I join only for the RoC tracks. And I don't think that LOL tracks are a good idea, Very short tracks (20-30 seconds) of course can be good, but the cup has to be based on skill and not on luck. That's why I wouldn't allow LOL tracks, but once again, it's your cup. I think this cup is composed by different styles tracks like Very Short, Envi-Mix (why not Stunts ? ), RoC (yeah ! ), FS, etc..